Schaapmans' Wildlife Spotting and Travels: Wildscreen Exchange and tagging photos. How to do it? Wildscreen Exchange and tagging photos. How to do it? If you contribute photos to biodiversity and conservation projects like Encyclopedia Of Life and Wildscreen ARKive, people need to understand your photos. What is in it? What animals do we see? Where was the photo taken? For that purpose you tag your photos. And for automatic and easier processing, you add machine tags to your photos on Flickr. That is precisely what I do. Actually, all photos on my site are filtered and displayed based on those tags. With the new Wildscreen Exchange initiative, there will be a need for being able to automatically process the photos as well. But. There is no standard for the tagging of photos yet. So I've started a discussion on Flickr to see what the tagging standard should be. How should you tag your photos? What do I use? 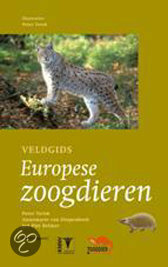 I've been contributing my wildlife photos to ARKive (now Wildscreen ARKive) and Encyclopedia Of Life groups for years. I've used extensive tagging (machine tags) as a way to be able to determine what is in the photograph. In the rules for Wildscreen Exchange I've only read that you should provide tags that sum up all context of the photo as good as possible. With thousands of photos it will be impossible to manually sort photos, so you need to be able to automate this. Hence: machine tags.
. It may be a good thing to also read this discussion in the Encyclopedia Of Life group. It may sound more complicated than it is. For geo location data e.g. a machine tag is geo:city=Amsterdam. It defines a city within the geo namespace. For machine tags with values that contain a space, always put the tag between double quotes. E.g. "geo:city=New York". - "taxonomy:binomial=Genus species" Example for the common lion: "taxonomy:binomial=Panthera leo"
- "taxonomy:common=English common name" It can be useful to add common names as well, Example for the lion: "taxonomy:common=Lion"
-> note: the taxonomy:common= is a standard, but does not provide for different locales, e.g. en-GB or nl-NL. I provide common names in English and Dutch for all species, but they are now mixed up. and all intermediate super, sub, infra, parv, etc. levels. - taxonomy:species= for the species identifier, e.g. for the lion taxonomy:species=leo. - taxonomy:trinomial=, for subspecies e.g. for the Masai lion subspecies "taxonomy:trinomial=Panthera leo nubica". - taxonomy:subspecies=, ith optional subspecies separately, e.g. taxonomy:subspecies=nubica. 1. Geolocation in your photo (in the metadata; automatically by GPS or with your photo editing tool) or manually added with the Maps tool on Flickr. 2. Explicit machine tags for geo location. And there are many more you can think of. All a bit less standard and useful to me. I only use the 2 letter ISO standard for the country, to avoid any confusion in spelling. E.g. The Netherlands can be: geo:country=Netherlands, geo:country=Holland geo:country=Nederland, "geo:country=The Netherlands". So geo:country=NL avoids confusion. Machine tags: collected / found in the wild? Other machine tags I use is a (semi) standard for whether the species in the photo is captive or wild. Useful information, especially if you use geodata in photos to determine range. Related to biology of organism. Can be useful, but I use it as additional tags in some cases. 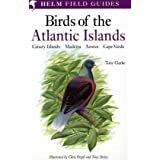 Find the Red List status of a species. This list is used by ARKive in this way.